Elfin Patch: What a palaver. My Shetland Hoody is now finished and this is my friend Sue modelling it. She would dearly love me to knit her one in a smaller size, but I can not face doing it again. All those ends that had to be sewn in. Urgh. 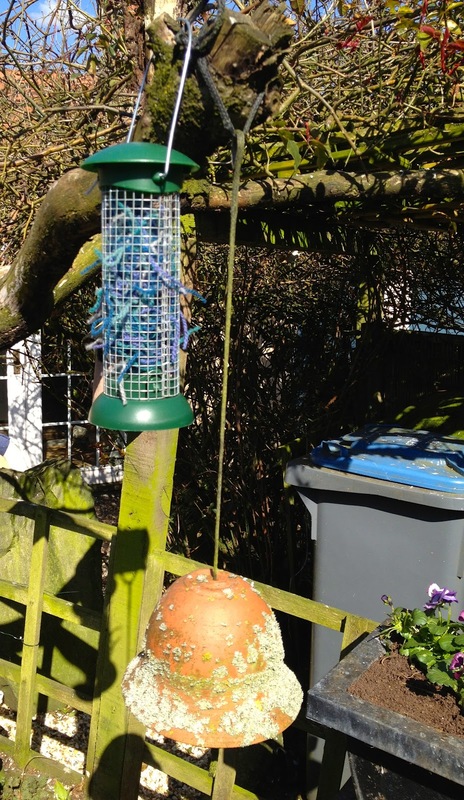 I have put them in a bird feeder , so the birds can help themselves to some wooly nesting material. I have added the borders to my Jigsaw puzzle quilt now renamed Humming bird quilt (much better do you not think), and have started to quilt it. 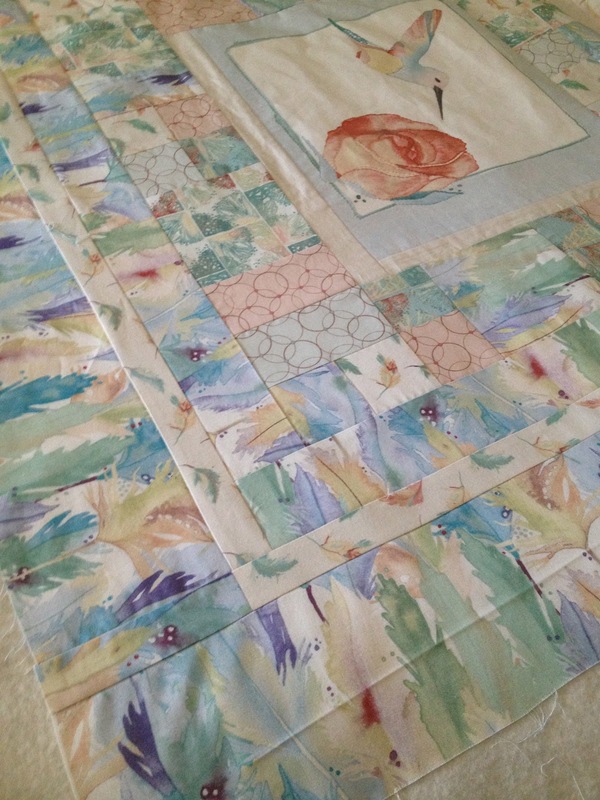 As you know I do love to hand quilt my quilts, but this one I felt needed machine quilting around the panel blocks. 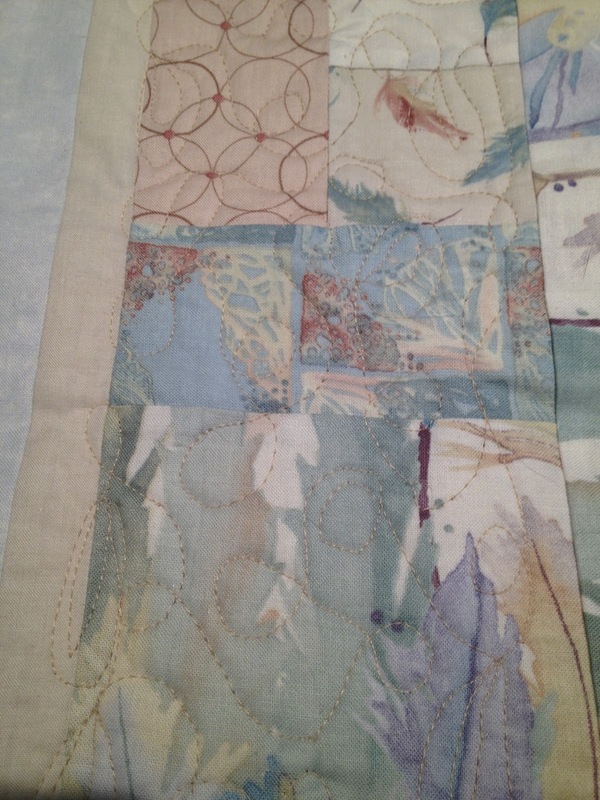 Note to my self, do more machine quilting. 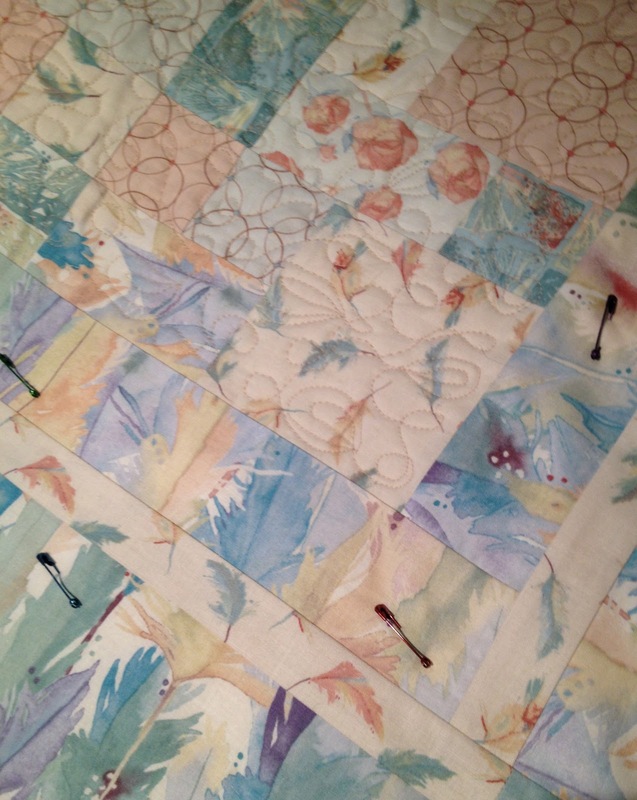 I felt really rusty, and as the quilt is now 6 foot square it also was a bit of a palaver, doing it on my domestic sewing machine. I need to do some more hand quilting on the panel blocks and make the binding. 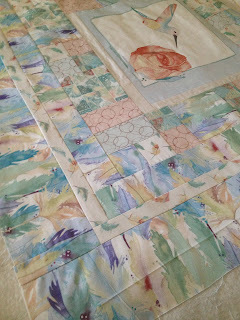 I am so loving making this quilt. Oh you are getting good Dorothy... I am really sluggish at posting at the moment.. We have the builders in and I can't get down to sewing much at all.. Like your Humming Birds... very soft & subtle..